According to Authority nutrition and Weekend Collective.com there are 35 benefits of using coconut oil; I’m going to share a few of those, some of which I have tried. 1. Treat Ear Infections- Simmer with a garlic clove. It acts as an antibacterial oil in the ear and helps heal the infection. 2. Energy Booster & Fat Burner (I definitely need to try this to increase my energy level to keep up with the girls). 4. Kill bacteria, fungi, viruses, & help prevent infections- it’s filled with fatty acids, 1/2 of which are Lauric Acid when it’s digested, it forms monoglyercide known as monolaurin and both kill bacteria. 5. Hair Damage Prevention- when used as a moisturizer. 6. Skin Moisturizer & Sun Screen- improves the moisture lipid content of your skin and blocks 20% of UV rays so it can be subsidized as a lighter protection sunscreen. 7. Improve Brain Function- a study reported improvements in memory function. Another study with Alzheimer patients who have a reduced ability to convert glucose into energy in parts of the brain. 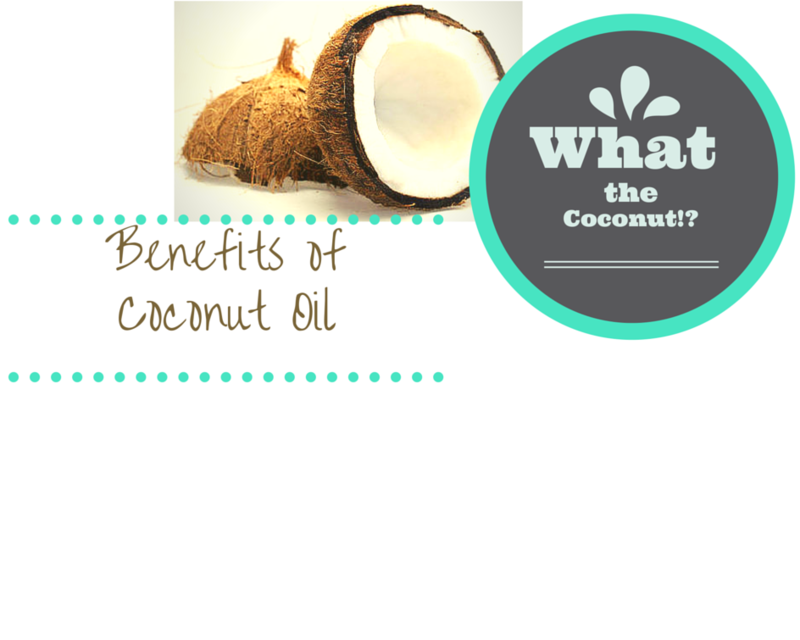 Coconut oil possesses ketone bodies that can supply an alternative energy source and help reduce Alzheimer’s system. 8. Digestive System- shown improvements when digested by helping to reduce harmful fat. 9. Boosting Immune System- it contains microbial lipids, capric acid & caprylic acid which are all antibacterial, antiviral & anti-fungal properties. 10. Improves Dental Quality & Bone Strength- by facilitating the body’s ability to absorb minerals including calcium to improve quality and teeth & prevent decay. 11. Diabetes- it can assist with controlling blood sugar levels and the secretion of insulin as well as utilizing blood glucose effectively. 12. Balances Hormone for Thyroid & Blood Sugar- reduces inflammation with its antimicrobial & antibacterial properties because of this it’s considered to have the necessary building blocks for hormone production. 13. Anti-aging Regimen- it can help prevent damage to healthy fats & tissue. According to Dr. Oz oxidation is a major contributor to aging & coconut oil can help the body reduce the need for antioxidant intake. 14. Liver Protection- according to coconutoil.com the MCFA’s aka med chained fatty acids have lots of ant-oxidant properties that help to keep the liver healthy. 15. Improves Skin Issues- like burns, eczema, dandruff, dermatitis, & psoriasis. It is great for cleansing, as a moisturizer, and protectant. ← Processed foods on the market that should be avoided!